Does your dog like chocolate? Does he wag his tail when he hears a chocolate bar being opened? Does he look at you like he’s the hungriest little dog in the world when you eat that chocolate? Do you find it so hard to resist his puppy eyes? We’ve all been there and we should resist because chocolate has an alkaloid called theobromine, which is toxic for dogs. So, you should keep the chocolate away and hidden from the prying eyes and sniffing nose of your dog. He might like it a lot, but it’s not good for him. The good news is that not all chocolate is toxic to dogs in the same degree. Chocolate as we know it, comes in various forms and recipes and the amount of cacao it contains varies from one chocolate bar to another. To put things straight: cocoa is 1.2% theobromine by weight. So, let’s see! 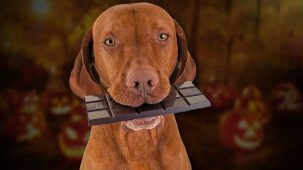 What is the most toxic chocolate for dogs? Alright, chocolate being toxic…this is hard to bear, right? Chocolate is life for us, humans. Poor dogs! Anyways, let’s get back to the facts. There is a type of chocolate that actually has zero percent toxicity for dogs and that’s, mostly, the white chocolate. It’s usually made of the fatty compounds of the cocoa bean and none of the poisonous solids. Basically, when you’re eating white chocolate, you’re actually eating some cocoa butter mixed with sugar and some milk. 100% safe for dogs. The dangerous type of chocolate is the black chocolate, the one which contains 85% cocoa or above. This is another story because it has the highest proportion of the toxin called theobromine and it can induce some serious problems to your dog. 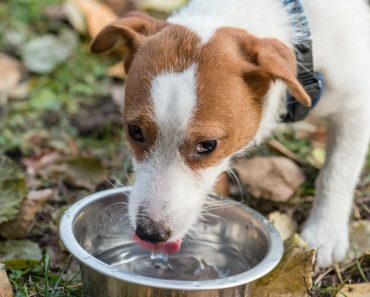 It can also contain caffeine which can add up to your dog’s toxicity level resistance. Although you like it, it’s not for your dog. So keep him away from it. If your dog is only vomiting and feeling nauseous, rush him to the vet, but if he’s also having seizures, you should really worry about him. Now, there are some differences and key factors that determine how your dog reacts to the theobromine in chocolate. If he’s a big, chunky Doberman who has eaten a few chocolate cookies, you don’t need to worry as much as if he were a Chihuahua who had devoured half a bar of dark chocolate. They are chocolate toxicity calculators out there that will help you determine how much is too much for your dog. 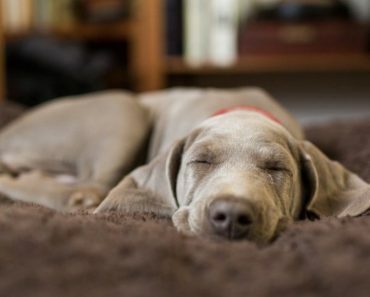 To put things simple, your dog is only allowed to eat as much as 100-200 mg/Kg of theobromine (and caffeine). You can easily calculate it yourself. All in all, you should know just to take care of your dog and hide that dark, unsweetened chocolate from them. More mild, and milk-based types of chocolate are harmless. For example, a 7-pound puppy or little dog will have to indulge 2 pounds of milk chocolate in order to be a life-and-death situation. Now, don’t think that it’s just dogs that have a thing for chocolate toxicity. Chocolate is also toxic for us, people, but we have a higher tolerance to it. Yeaah, it’s quite shocking since we consider chocolate above all other types of sweets out there. Anyways, you shouldn’t worry because it’s quite impossible for humans to die of chocolate because it’s quite impossible to eat that much chocolate that will bring you to collapse.